Apart from big business houses, both small and mid-level companies without dedicated in-house research capabilities struggle to keep up with the intensive research required for their most challenging decision-making processes related to finances, marketing, and business operations. For any similar scenarios, Back Office Pro can be your outsourcing partner to provide you with best-in-class research and analysis services that allow decision makers to comprehend, evaluate, and act on data accurately, providing a competitive edge. Back Office Pro’s highly skilled research professionals gather and organize data, make it interpretable, and thus allow executives to see connections between multi-dimensional data sets by providing actionable insights through rich, graphical representations. Working 1:1 with each client, Back Office Pro’s research, analysis, and data visualization services give decision makers the tools they need to identify trends with their business or market, and to visualize patterns between operational and business activities. 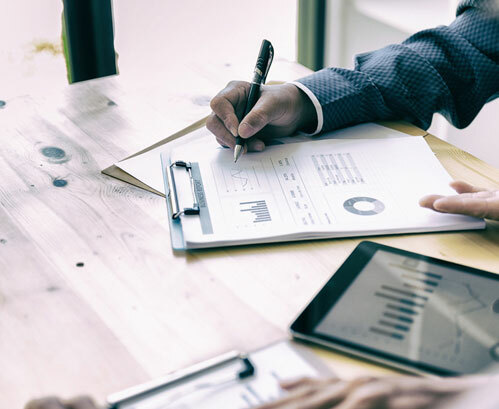 Following an ISO-certified quality process for comprehensive research, Back Office Pro’s Research and Analytics Services will help you make informed, tactical, and strategic decisions. A broad spectrum of research services that can constructively converge into a company-level analytics strategy at a highly competitive rate. Businesses can address capability gaps without the need to assemble internal analytics teams. Outsourcing their research and analytics business needs will allow companies to start harnessing the power of data from month one. Working with an experienced analytics team will provide in-depth, detailed, easily interpreted information that enables executives to visualize connections between multi-dimensional data sets. Our research analysts with MBA’s or Ph.D.’s from Tier-1 institutions guarantee high-quality research, analysis, and data visualization services. You can be benefitted from our wide-range of collective experience over 14 years in conducting secondary research for a variety of clients ranging from major corporates to start-ups across the globe. Research professionals and dedicated support team working on a 1:1 basis with the client ensure a business-specific research approach and analytics plan. Every member at Back Office Pro signs a legally binding Non-Disclosure Agreement (NDA) while following strict internal security protocols to protect your data and documents. Over 99.5% SLA adherence rate on every project. Get in touch with Back Office Pro today to find out how we can lift the burden on your team’s investment research projects. Fill in our online form, and we will contact you to discuss your requirements.